Here are some of the members who made up the group in the late 50's and early 60's. 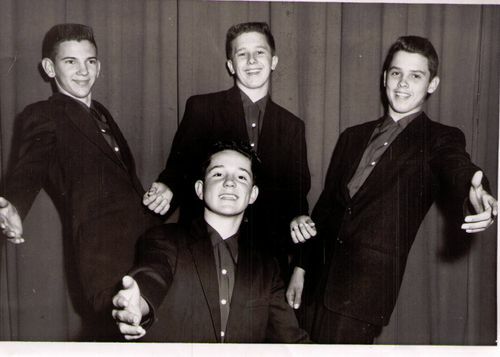 The guys are: Charlie Smith, far left; Wally Sisk, front; Joe Simmons, back; and Sonny Jones, far right. From looking at the pages from the Carats and Kaleidoscope programs on the blog, I see that group membership changed several times from performance to performance.